We are officially in festive photo season! Bring on the plaid! We held our third annual round of Cozy Christmas Limited Edition Sessions on November 4, 2017, in Ottawa, ON. These holiday-themed portrait sessions are great for young families and for those looking for a fresh family photo to share in their Christmas cards. They are a hot ticket item and sell out super quickly every year! 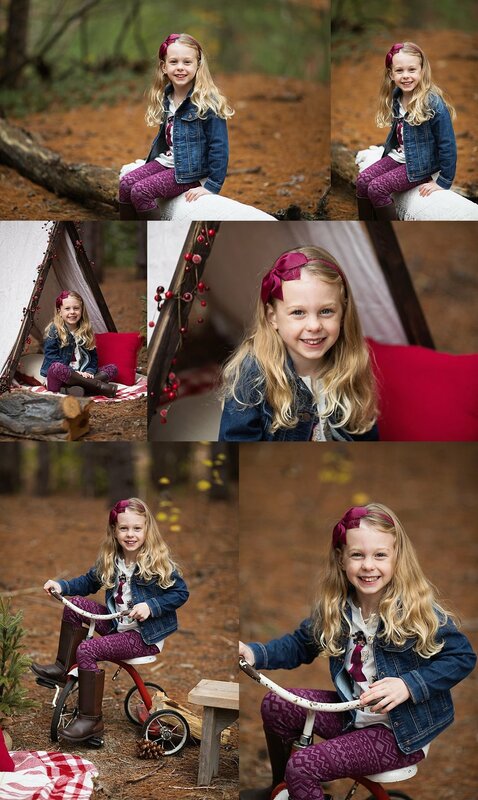 The Cozy Christmas Portrait Sessions are winter camping themed. The tall trees and woodsy atmosphere create the perfect setting for an outdoor adventure. Our new tent prop was the perfect new addition to this year's camping scene. Michelle Ma Belle Photography is currently offering festive Holiday Print & Digital Collections, including Premium Holiday Greeting Cards.We have a variety of stunning designs to choose from and include premium envelopes. Contact us for more information or to book your complementary consultation.